Aloha and welcome to the first in a four-part series exploring Hawai’i Island, otherwise known as The Big Island. 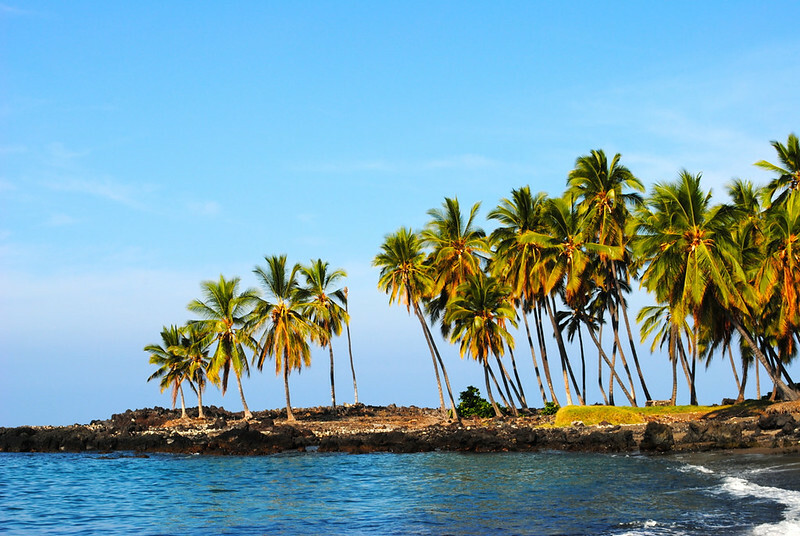 In today’s post, we start on the west side of the island in the vibrant town of Kona before heading south to snorkel and discover some of the island’s history. Hawai’i Island can easily be divided in two: the sun-drenched west side and the lush east side. 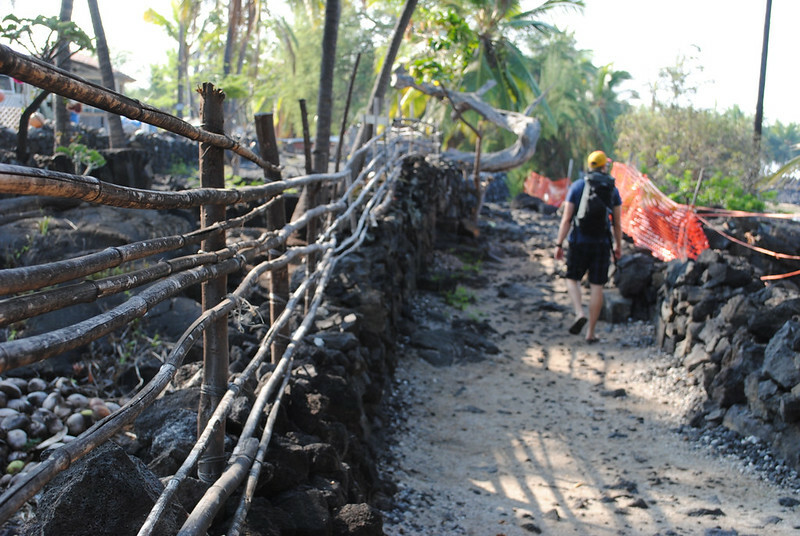 The western hub is Kailua-Kona, or Kona, a vibrant town with deep roots to the island’s past. 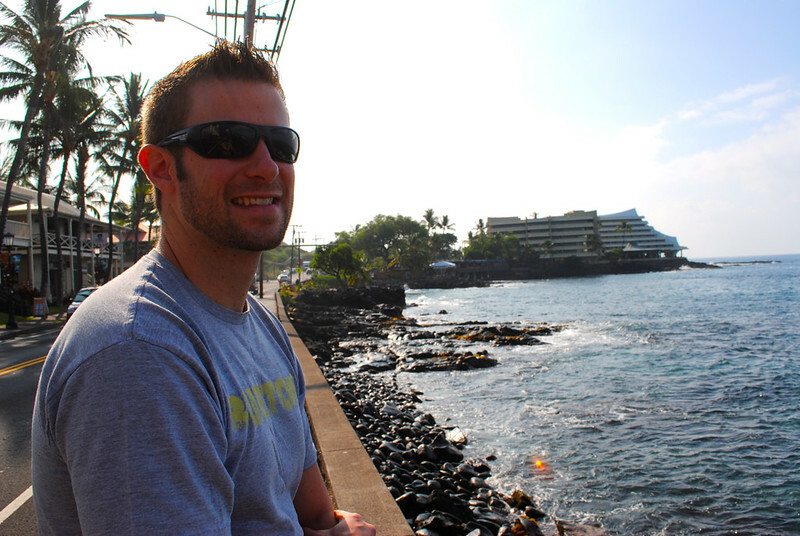 I love walking along the waterfront of Ali’i Drive, spotting local artisans, souvenir shops, and countless restaurants featuring some of the most ‘ono food on the island. 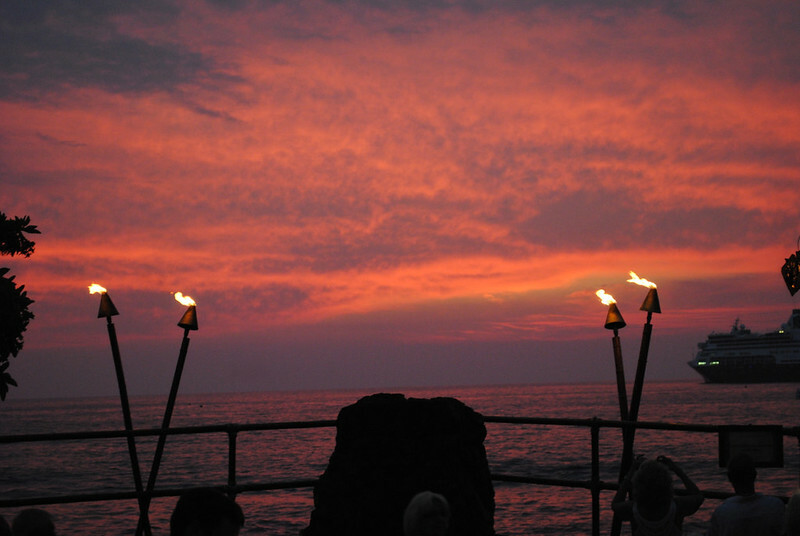 Kona is also where you’ll find many of the island’s hotels, each with a unique offering of Hawaiiana flavour. 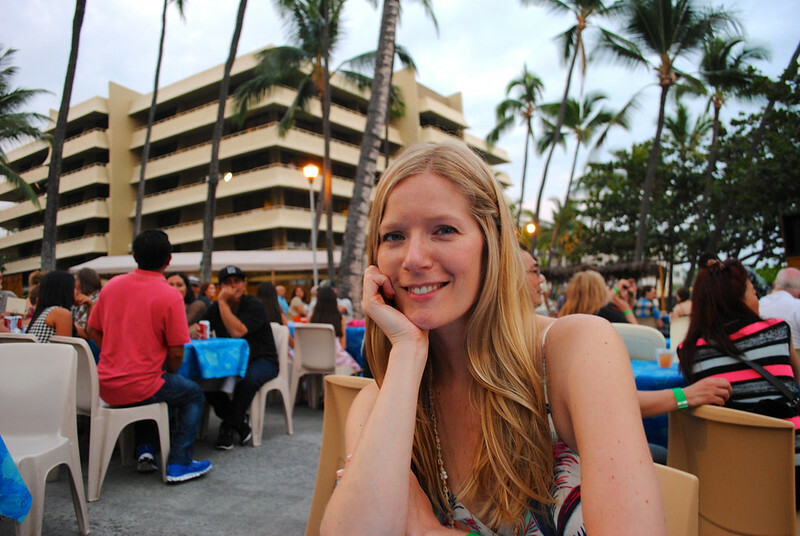 When my husband and I travel, we normally prefer to “do as the locals do,” but I couldn’t pass up the opportunity to attend a luau at the historic Royal Kona Resort. If the buffet food and bottomless mai tais weren’t enough to convince my husband to join me, a storytelling show with fire should do the trick. 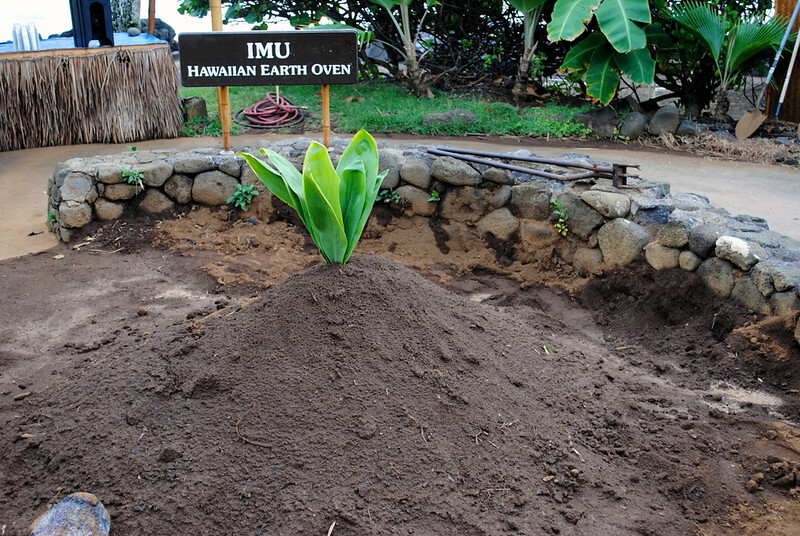 Traditional luau meals include a pig that’s been cooked in an imu – an underground oven – over the course of the day. 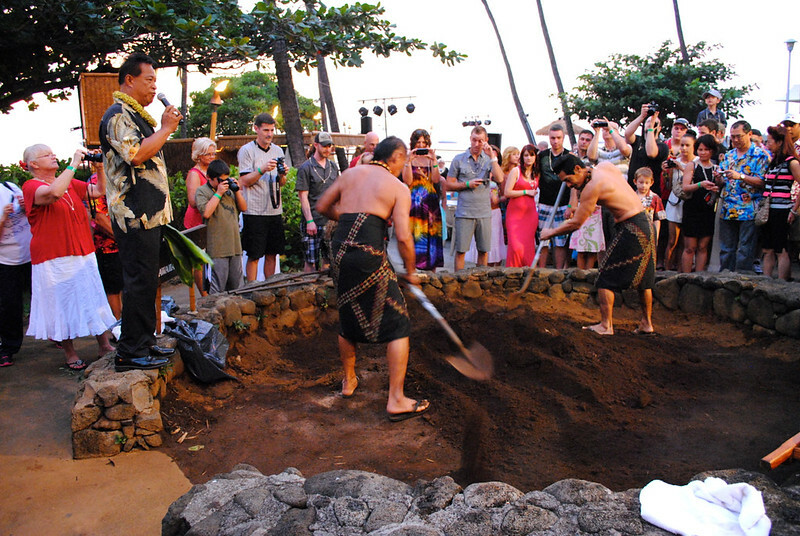 While that’s one part of the luau I skipped out on partaking, the unearthing ceremony held everyone’s attention. 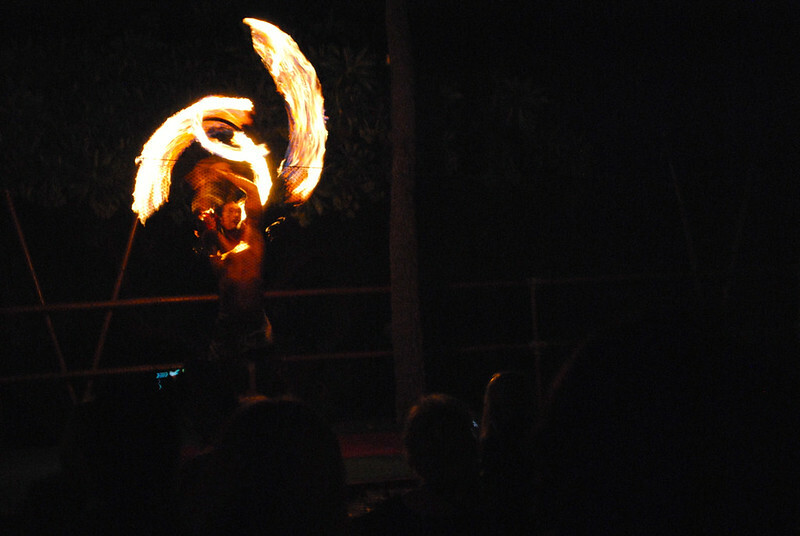 As the sun set and the mai tais continued to flow, the luau was capped off with a live performance telling the history of the Hawai’ian people through song, dance, and – lucky us – fire throwing. When my husband and I visit Hawai’i Island, we tend to stay away from the action. Our favourite rental cottage is nestled beside a patch of pineapple plants on a hill overlooking Kealakekua Bay in an area known as Captain Cook. 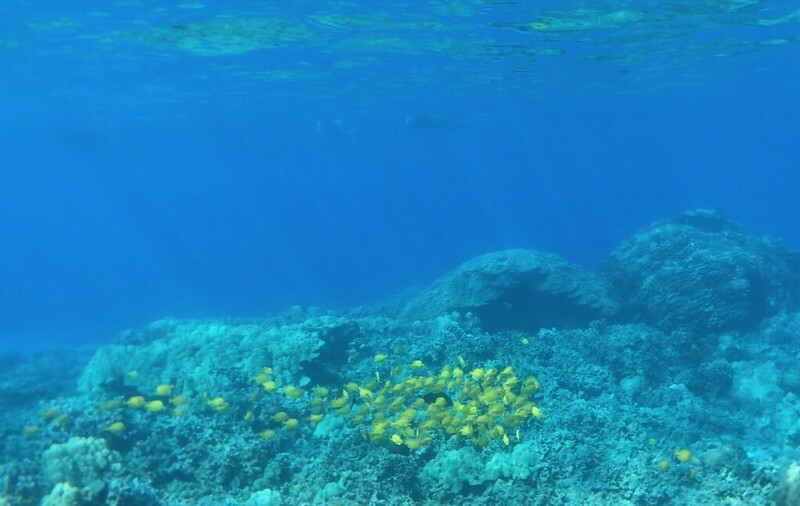 About 20 minutes south of Kona, this spot is prime for early morning snorkelling at “Two-Step” in Honaunau Bay. 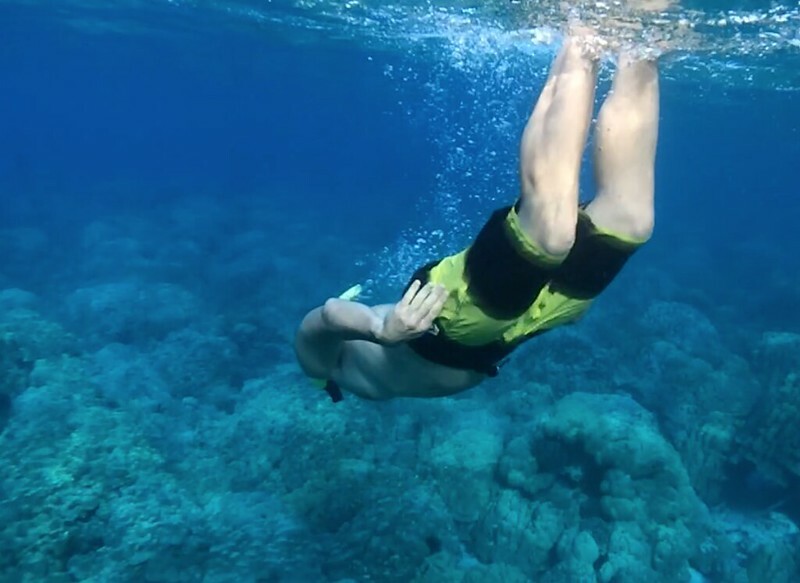 I’ve heard that Hawai’i Island features some of the most beautiful and diverse snorkelling in the entire world. While I can’t vouch for the rest of the globe, I’d have a hard time arguing with that. J, who has even snorkelled the Great Barrier Reef, would agree. Two-Step was nicknamed as such by the locals because there is a two-step ridge on which to get in an out of the water. 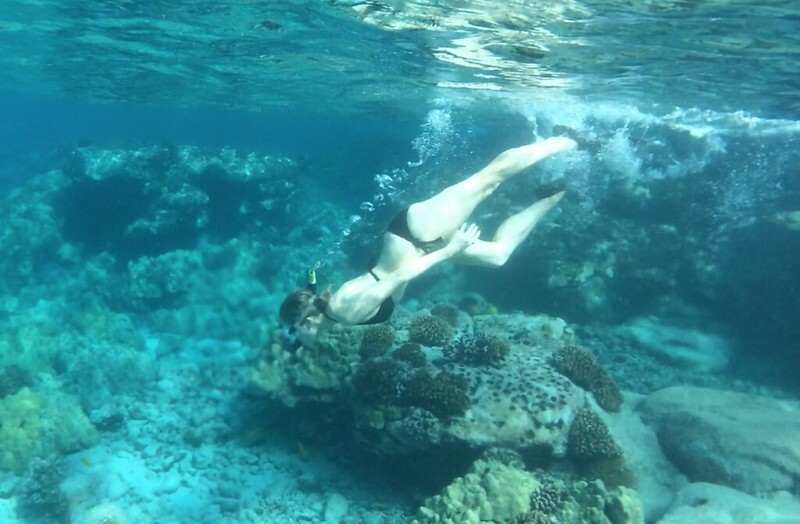 The coral in the area is entirely precious and quickly depleting, so it’s vital to show honour and respect for both the land and water if you’re going to enjoy it. Once under the sea, fan out across the bay and you’ll find that it’s teeming with some of the most vibrant sea life you can imagine. While we’ve never been lucky enough to spot a shark or dolphins in the bay, we’ve seen everything from eels and yellow tang to sea turtles and puffer fish. 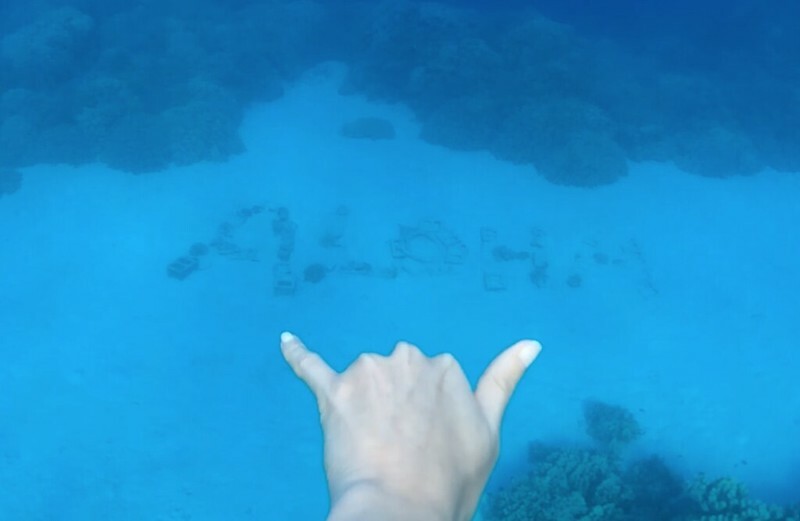 After one of our many early morning snorkels, we headed literally next door to Pu’uhonua o Honaunau National Historic Park, otherwise known as The Place of Refuge. In ancient times, Hawaiians were ruled by a hierarchy. 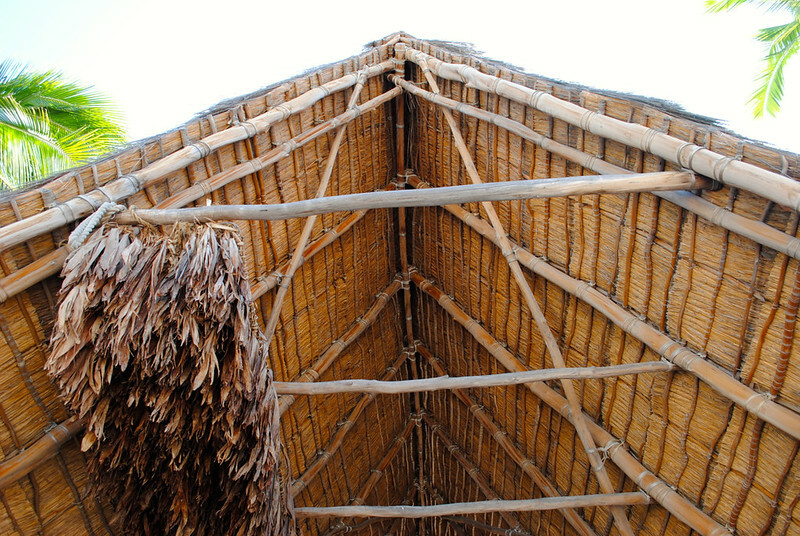 Kapu, or the laws of the land, were strictly enforced and the penalty for breaking kapu was death. 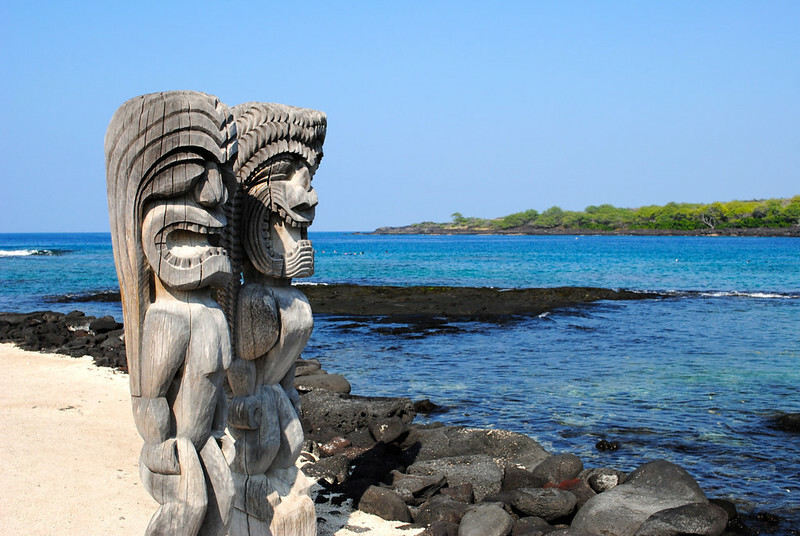 The only way to elude such a fate was to outrun your pursuers and reach the nearest puuhonua (or refuge) before they did. 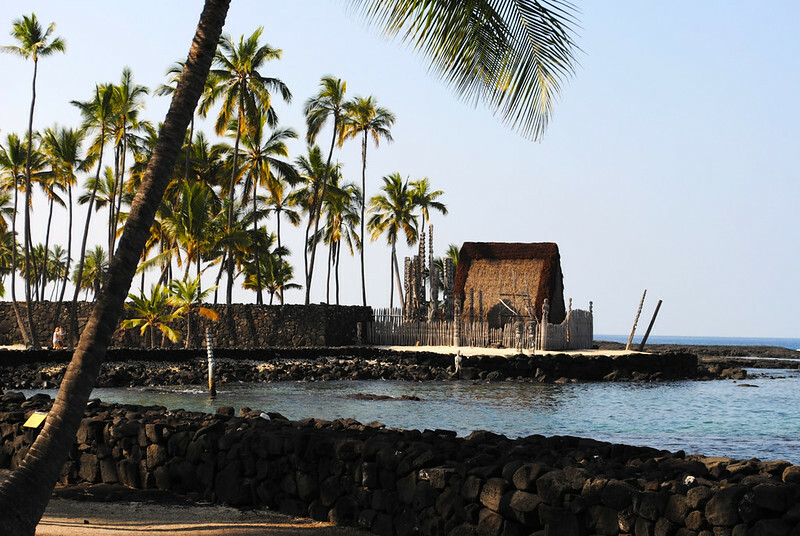 Pu’uhonua o Honaunau is a sacred site, honouring Hawai’i’s past. We spent an hour strolling the grounds and imagining what it would have been like to live as the ancient Hawai’ians did so many years ago. This historic park is preserved by the U.S. National Park Service, so make sure to stick around for a cultural demonstration or take the audio tour if you’ve got time! Many of Hawai’i Island’s arguably best beaches are north of Kona, but we found a couple gems south of Captain Cook. 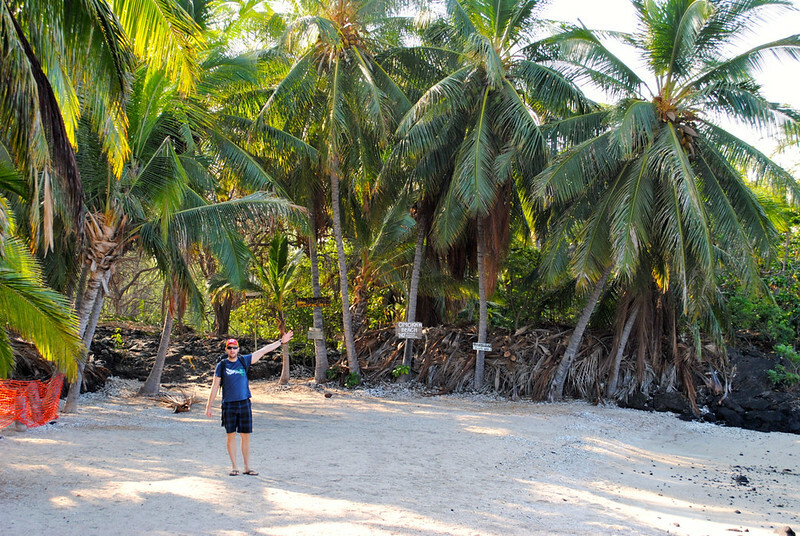 First up is Ho’okena Beach Park, a wide and sandy shore, edged with palm trees and beachfront campsites. The water is luxuriously warm and we were lucky enough to snorkel next to a family of sea turtles here. Ho’okena is popular with families, so if privacy is what you’re after, keep heading south. Dig your toes in the sand on the patio at Huggo’s on the Rocks on Ali’i Drive. Grab an ice cold beer at the Kona Brewing Company. Your best bet for local coffee is Island Lava Java in downtown Kona. Dine will the sun goes down on the lanai at Sam Choy’s Kai Lanai. Kaaloa’s Super J’s will offer you a once-in-a-lifetime lau lau you won’t forget! 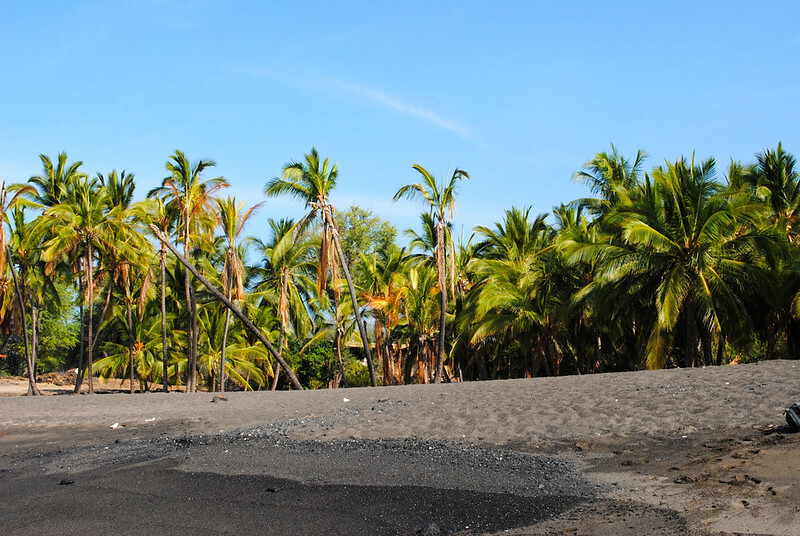 Join me next Tuesday as I continue heading south, visiting South Point, Naalehu, Punalu’u Black Sand Beach, and Hawai’i Volcanoes National Park. Disclaimer: I was not paid or asked to write this post. All views and opinions are entirely my own.